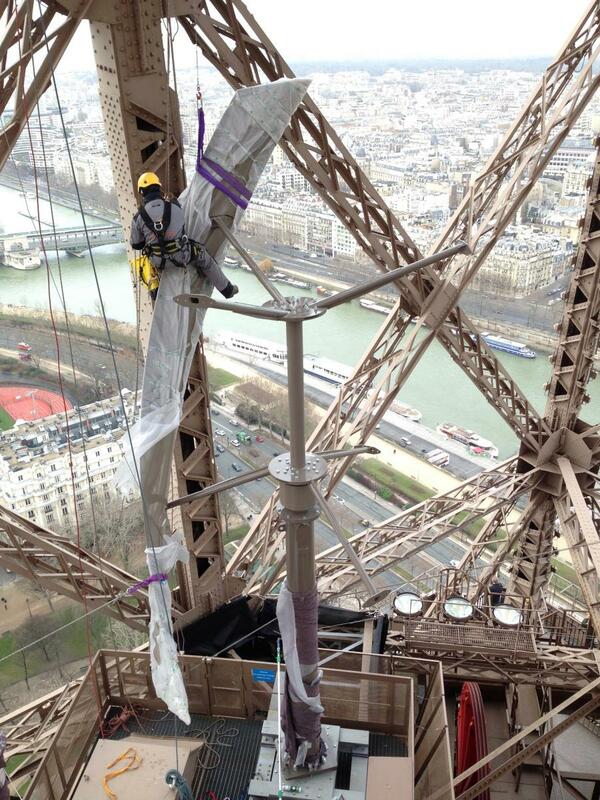 An ambitious remodel project at the Eiffel Tower is making its operations greener. The first floor of the landmark building was recently refurbished for a better visitor experience and to improve the environmental impact of the historic building. First floor glazing was changed to provide a 25% reduction in solar heat gain during the summer months. This will significantly reduce the need for air conditioning, saving money and energy. Almost all of the lighting in the first floor was changed to LED, which doesn’t produce as much heat and uses less energy. Solar panels have been installed on the two pavilions near the tower, providing about 50% of the energy needed for water heating throughout the year. A rainwater recycling system provides water for the toilets in the pavilions, and reduces the energy needed to pump the water to the highest levels of the tower. The most visible change to visitors may be the installation of two vertical wind powered turbines on the second floor. 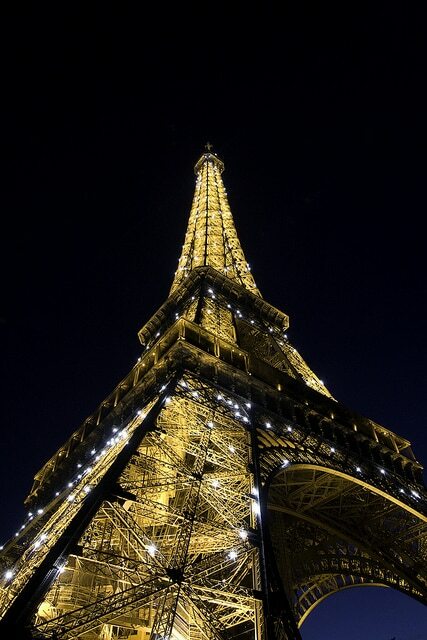 They are expected to generate 10,000 kWh per year for the tower, enough to power the first floor. The windmills are specially designed to gather wind power no matter which direction it comes from, and are designed and painted to blend in with the tower’s iconic design. 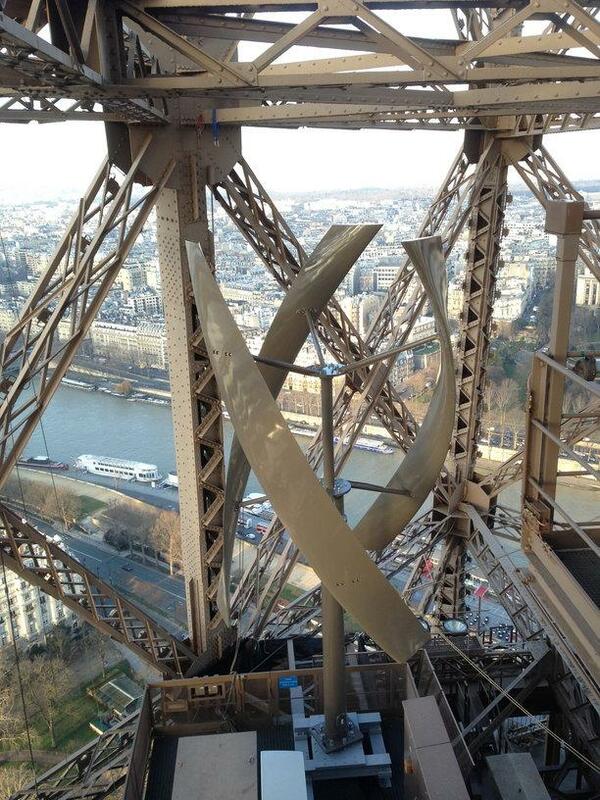 The turbines were installed about 400 feet above the ground, taking advantage of the higher wind speeds at that level. The renovation project includes upgrades to the meeting spaces, visitor center, and shops at the tower. The meeting spaces provide a unique setting for conferences or workshops, and are available for rental.